R.A.Y., Innes Sibun Band, Jade Gall Quintet, Greg Abate with the Matt Carter Trio, Martin Dale Quartet, John Shillito’s Riviera Ramblers, Sons of the Delta. The official opening event of the festival – Performances at the House of Commons, the Royal Albert Hall and at the 2012 Montreux Jazz Festival reflect just how outstandingly good the DYJO are. Drawing the best of Devon’s youth jazz musicians together they are split into two bands: DYJO2 is composed of younger members, directed by Brian Moore and DYJO1 is drawn from older pupils, directed by Graham Hutton. DYJO1, in addition, has a specialist sax coach, Roz Harding, one of the region’s top jazz musicians. This year DYJO are accompanied by jazz pianist Andrea Vicari. Dave will be performing standards and self-penned compositions from his recently released album ‘The Singing Bridge’, inspired by local landmarks such as Shaldon Bridge (The Singing Bridge), The Ness and the Teignmouth to Shaldon ferry. If you missed their performance at the 2017 festival then please do try to make it this year, you won’t be disappointed. 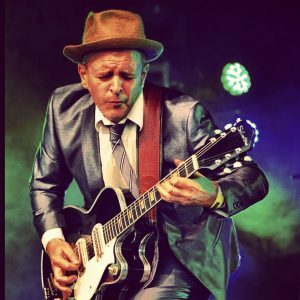 Without question one of the finest blues guitarists in the country, Vince and his band The Big Combo provide the hottest mix of slide guitar country blues with tough rhythm and blues, soul, jazz and swing. Their choice of material ranges from classic blues and hot swing of the 20s and 30s through to 40s and 50s blues. A sound pumped out at octane levels by a surprisingly small ‘Big’ Combo. Performing a distinctive, dynamic brand of cinematic jazz groove, drawing on a rich pool of 60s and 70s soundtrack tunes – Get Carter, Alfie, Bond, Black Orpheus, Bullitt, Midnight Cowboy and more. Stylish and accessible, the band features Tom Unwin on piano and Stig Olson on saxes and bass clarinet, and completed by the fluid twin rhythms of the multi-talented Marcus Vergette on double bass and Ric Byer on drums. On the face of it an unlikely alliance – one of the UK’s finest Blues guitarists and a keyboard player voted top UK Jazz pianist in 2010 – JELLY ROLL produce the kind of no holds barred Rhythm and Blues you might hear spilling through the windows of a steaming jam session in New Orleans, or on a hot night in Texas Road house. CRAIG MILVERTON was for many years associated with the late George Melly and performing with the Digby Fairweather Half Dozen, and latterly with Paul Jones of Blues Band fame. He’s appeared at most of the major Jazz Festivals throughout Europe and was last year voted top UK Jazz pianist, guesting at Minton’s Playhouse in New York. JULIAN PIPER has played on two W.C. Handy Award winning albums – the Blues equivalent of the Oscars – and has shared stages with Robert Cray, B.B.King, Buddy Guy and many others. Recent appearances include the New Orleans Jazz Heritage Festival, Morgan Freeman’s Ground Zero Club in Mississippi, and Rosa’s in Chicago. LUCY PIPER joins Jelly Roll at Teignmouth. An outstanding drummer, she has recently played with Bill and Shy Perry, Lucious Spiller, Bilbo Walker and Leo Bud Welch in Mississippi, appearing at festivals throughout the American deep South. She also plays on Shy Perry’s new album recorded in Vicksburg Ms. Taking inspiration from influences as diverse as Jimmy Smith, T Bone Walker and the great Boogie pianists, the band have come up with a compelling ‘Gumbo’ of music that is sure to have you on your feet. Veteran music journalist Alan Cackett hailed Adam as “simply among the most original and visionary young musicians currently on the cusp of widespread discovery”. Tori (saxophone) and Alcyona (piano) formed their Duo in 2015 playing Monk tunes on a project in the Canary islands, and were given their first platform as a duo at Manchester Jazz Festival in 2015. The two have known each other for years, working together on the London scene in many different ensembles including the London Jazz orchestra. Alcyona and Tori enjoy the space and freedom that playing as a duo gives them to approach their material with greater spontaneity and interaction. They share a large range of musical influences that fall not only within the jazz genre, including Brazilian music, English folk, Latin, Arabic, free playing, Monk and more, and their aim is to take the audience on an engaging journey through this sound world. 1959 is often considered an extremely influential year in the development of modern jazz with a number of new sub genres within jazz coming to the fore in this year. 1959 spawned some of jazz’s finest albums of all times including of course Miles Davis’ Kind of Blue and Dave Brubeck’s Time Out. Today’s performance will include classic works from Miles Davis’ Kind of Blue, Dave Brubeck quartet’s Time Out, John Coltrane’s Giant Steps, Charlie Mingus’s Ah Hum and more. Neil is joined by Gavin Martin on piano, Kevin Sanders on double bass and Preston Prince on drums. 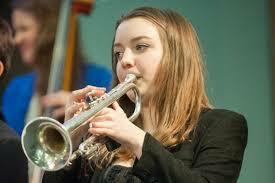 The members of the Alexandra Ridout Quintet all met at The Royal Academy of Music Junior Jazz department. Their passion for the music and outstanding musicianship produce an incredibly mature band sound that belies their tender years. They are equally at home playing hard swinging jazz, contemporary jazz, poignant ballads and solid funk tunes. 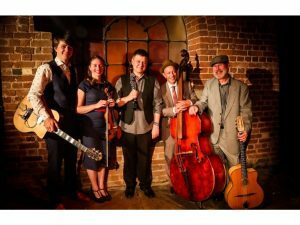 An Exeter based group of musicians with wide-ranging individual backgrounds in classical music, traditional jazz, rock, blues, country, ragtime and roots, pulled together by the shared pleasure of gypsy jazz and hot swing. Gilad Atzmon returns to Teignmouth with his band Orient House Ensemble and anyone who saw them on their previous visits will know what a treat is in store. Based in London, PYJÆN is a band with its common link in improvised music and the jazz tradition, but with vision of pushing music forward in new directions. The sound of PYJÆN has many influences… Rock, electro, afrobeat, hip hop and jazz fusion being a few of them. Having all met at Trinity Laban College of music, PYJÆN have the shared goal of exploring life through musical expression and perfecting their art. Pianist and composer Andrea Vicari leads a trio project based on compositions from her jazz musical called “The Austerity Playbook”, which premiered to a full-house at Northern Stage in Newcastle; and new book ‘A-Rhythm-A-Tik’; plus a retrospective of tunes from her previous albums, and an album of original songs and standards with vocalist Trudy Kerr called ‘The House”, premiered at Ronnie Scott’s International Piano Festival. The Ronnie Jones Quartet has established a reputation for playing accessible jazz standards woven together through imaginative programming: immediately distinctive is the creative use of the full dynamic and textural spectrums. They have played at some of the biggest UK jazz festivals including London’s Ealing Jazz Festival, Cheltenham Jazz Festival and the Marlborough Jazz Festival as well as at a myriad of local jazz venues throughout Devon, Somerset and Dorset. Milon are a Bristol-based quartet formed by Dino Christodoulou, tenor saxophonist, and guitarist Neil Smith. On drums is Roberto Nappi with Pasquale Votino on electric and double bass. The compositions and grooves are undoubtedly steeped in the middle east, specifically Cyprus, but this is merely the backdrop for an uncompromising fusion of alternative rock and modern jazz, occasionally steering towards free jazz but never at the expense of the overall sound. I’ve loved Klezmer music before I knew that’s what I was listening to. I can’t really remember where I first heard it. My earliest recollection is watching ‘Fiddler on the Roof’ on TV one Christmas as a child in the 1970s, and recognising some of the music as based on something I’d heard before and liked. But I was sidetracked by the saxophone and jazz after being infected by Henry Mancini’s Pink Panther theme. Every now and then, however, I would come across something that reminded me of this music that I’d always wanted to explore further. It happened in Egypt in my early 20s, hearing the amazing string sounds coming out of the radios wherever we went; not Klezmer at all, but it evoked something that reminded me. Then I landed in the Famous Spiegeltent in Edinburgh in 1999, playing silly jive with the Honkin’ Hep Cats. Alongside us there that year, from Paris was The Orient Express Moving Schnorers, a bunch of fabulous jazz musicians playing music based on this thing that is Klezmer. For some reason unfathomable to me, they decided to change the band’s name to ‘Klezmer Nova’ when they returned a few years later, playing the same great repertoire as they do still today, back in Paris. But what is ‘Klezmer’? Anyone who’s ever learned to play an instrument will remember being introduced to minor scales, and usually at an early stage the difference between the ‘harmonic’ and ‘melodic’ minors. In the upper half of a harmonic minor, there is the huge gap between the 6th and 7th steps which immediately gives it an exotic ‘eastern’ flavour that conjures up Arabian souks or languid moments of pre-villainy in some of the early Bond movies. It’s this minor third that gives Klezmer its signature sound, alongside other essential ingredients of course: driving rhythms over relatively simple harmonies, and simple, catchy tunes which have similar forms to folk music from all over the world. It’s music for dancing, for celebrations. It’s regarded as originating in the area of Eastern Europe which was Bessarabia, now the small country of Moldova, landlocked between Romania and Ukraine, and was played by Jewish musicians known as klezmorim. Gustav Bensel (pictured in the programme) is my great-great-grandfather who avoided conscription into the Prussian army by going to sea. He’s reputed to have jumped ship in Brazil and made his way eventually to Green Bay Wisconsin where his seven languages made him a successful grain buyer. When we created this band a few years ago to play gypsy jazz and klezmer, I needed a name and an image. His picture was to hand and I felt he would like to be brought back to life in this form. And so we are The Gustav Bensel Hot Club. Seven-time British Blues Awards Finalist and three-time European Blues Awards nominee Kyla Brox can be tender, urgent and gritty: she blurs the distinction between pleasure and pain like the soul greats of old. The daughter of legendary blues singer Victor Brox, Kyla started singing on-stage at the age of 12 and has several albums to her name, including the band triumph Coming Home (2004) and the stripped and sensitive Grey Sky Blue (2009). John Shillito – trumpet & vocals, Zoe Lambeth – clarinet, saxes & vocals, Bob Martin – trombone, Pete Furnish – double bass, Dale Whitlock – guitar and John Whitlock – rhythm guitar. around the Bay and beyond. who emerged in the 1920’s. Now, himself, a veteran of 80 years, John still plays a strong lead and is a great foil for Zoe’s whimsicalclarinet. Bob’s trombone playing delights with a pot-pourri of ideas and Pete puts the beat exactly where it is most effective; whilst the Whitlocks’ guitars complement each other to provide a solid, but gentle, rhythm and a stream of melody and counter-melody. Returning for the 2nd year, the Schmoozenbergs conjure up the mood of 1930s Paris, fused with the energy of a campfire jam session, their uplifting gypsy swing music will put a smile on your face and a bounce in your step. With two guitars, violin and double bass, they bring irresistible rhythms, lyrical melodies and playful improvisation, to create a heart-warming sound. The birth of a new layer of fusion….. live sound design and live soundscape composition…beautifully and artfully intermixed with straight ahead jazz and improvisational mastery. The Al Swainger Q*tet is a four piece jazz ensemble featuring extensive use of modern technology to take the artform in a unique and daring new direction. The repertoire is currently based around a selection of Chick Corea’s best loved compositions but re-imagined for a new 21st century ear. The Jade Gall Quartet will be joined by the fantastic saxophonist Julien Alenda for a night of brilliant saxophone madness. 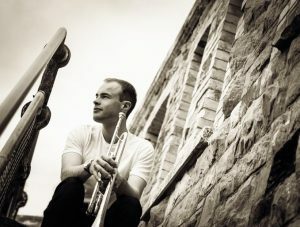 Jade Gall is a highly celebrated UK-based saxophonist and flautist, hailed as having a “big strong tenor sound with a beautiful sense of melody and swing…a musician to look out for in the future” by top UK trumpeter Steve Waterman. 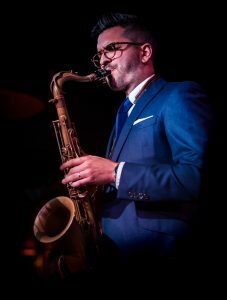 French saxophonist Julien Alenda has made a great impact on Bristol’s jazz scene over the last few years, appearing in many bands and hosting the popular jam sessions at the Fringe Bar every other Sunday. He is an extremely gifted improviser with an incredible ear. The Martin Dale Quartet, led by Martin on Tenor Sax, play a completely mixed programme of jazz, everything from Be-Bop, Bossa Novas, Standards and some well known “Pop” tunes thrown in for good measure! There is something for everyone. The music of R.A.Y. 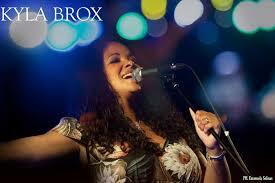 is an eclectic mix of jazz, blues, reggae, soul, Latin and ballads designed to appeal to all tastes and ages. Songs by Amy Winehouse sit alongside numbers by Etta James, Dionne Warwick and Kirsty McColl. R.A.Y. will not only get your feet tapping but get you out on the dance floor too! The ‘Bassey Plays Massey’ Septet is an exciting collaboration for Teignmouth Jazz Festival between two bandleaders: Mark Bassey, one of British jazz’s finest trombonists and local trumpet player Sam Massey. The band will be performing exciting new arrangements and compositions from both leaders, along with cleverly reworked standards and compositions from British jazz favourites including the late Kenny Wheeler. Mark Bassey – Trombone, Sam Massey – Trumpet/Flugelhorn, Jade Gall – Sorpano, Alto & Tenor Saxophone and Alto Flute, Julien Alenda – Alto & Tenor Saxophone, Lewis Riley – Piano, Jim Rintoul – Bass, Kevin O’Rourke – Drums. Charlie Parker inspired bebop at its very best. We welcome Greg back to Teignmouth, performing with the talented Matt Carter Trio. The Dave Hankin Big Band has risen to become the South West’s premier Jazz Orchestra. Featuring high-quality musicianship, and performing a diverse repertoire from Glenn Miller to Maynard Ferguson – all of Dave’s very own arrangements. The Dave Hankin Big Band is a feast for music lovers. “A fine ensemble of musicians and a fine set of Music arranged and directed by their enigmatic maestro Dave Hankin. 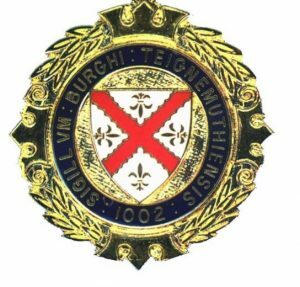 Their concerts have been extremely well received by all of our capacity audiences whenever they have played at the Flavel Centre in Dartmouth. A guaranteed unforgettable evening of entertainment, and I mean entertainment, from fine soloists to some beautiful ensemble performances, this band swings in the best conceivable way! Impossible not to tap your foot or whistle a tune on the way home after! The best imaginable ‘ear worm’ you could be plagued with!” Sid Davis General Manager ‘The Flavel Centre’ Dartmouth.